Charnock Richard, Coppull, Wrightington, Appley Bridge, Parbold, Newburgh, Bispham Green, Mawdesley, Croston, Eccleston, Euxton, Rivington, Blackrod, Hindley, Westhoughton, Middlebrook, Leigh, Atherton, Tyldesley, Farnworth, Manchester, Bolton, Irlam, Glazebury, Skelmersdale, St Helens, Risley, Croft. 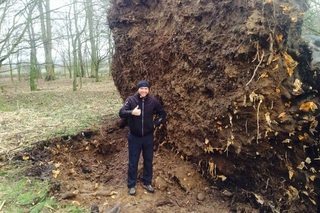 LTC are experts in the field when it comes to stump grinding in Wigan we also cover Manchester, Warrington, Bolton & the surrounding areas. Stump Grinding & Removal Process involves a piece of machinery when cuts the roots and the stump into manageable wood chipping while it’s still in the ground. 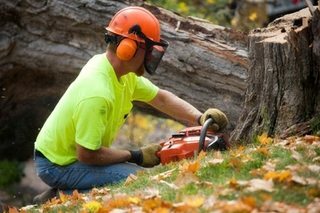 With many years of experience in the removal of tree stumps LTC have removed many tree stumps with no problems achieving many satisfied customers in the process. We provide the best solutions to our customers for any problem they’re having with a tree stump. Are you sick of looking at that tree stump in your back or front yard? Well LTC can help you remove those pesky tree stumps and help you turn that space into a flower bed or even complete your garden lawn. Tree stumps can take along a time to decompose and it will more than likely not break down enough in your lifetime to get it out of the ground without professional help. We’re experienced when it comes to tree stump removals in Wigan and Manchester, although we’re not limited to these areas and cover a wide area of the North West. Using a state of the art machine with a cutting disc allows us to make short work of any tree stump the cutting disk will break up the main trunk of the stump and eventually cause weakening allowing the site operatives to remove the stump safely in sections. There are many ways of removing a tree stump but using this machine is the most effective way and it has been named stump grinding as the machine grinds away at the stump and will eventually cause the stump to become loose and easier to remove from the ground. Contact LTC today for more Information on our tree stump grinding & removal services such as pricing and availability you should contact us immediately on 0161 258 5787 or email using the contact form provided above. Contact LTC Tree Surgeons Today! Unit 3a, Cricket St, Wigan, Lancashire, WN6 7TP.